Gatekeeper’s safety gates installed by BILD provide beauty, comfort, security and peace of mind for your home. These systems are strong, durable, and beautiful. They have passed the ASTM F1004 performance test to withstand forces of at least 500 pounds. There are different gate styles and applications available to meet your specific needs and the gates can be finished to compliment your existing decor. The high quality hardware is designed with an easy to use but hidden mechanism to release the gates that are blocked which only swing outward away from the stairway. 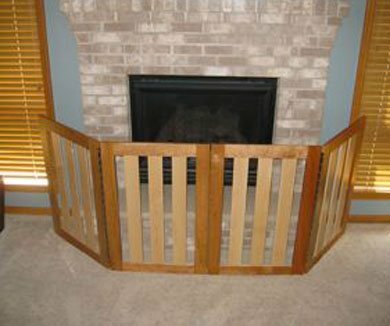 Gatekeepers are available in a variety of wood-types including oak, maple and cherry. These high quality systems can be custom stained and custom measured to fit to your home’s specifications. BILD offers the most highly trained accessibility specialists (CAPS, CEAC, ECHM, CLIPP certified) who have backgrounds as experienced occupational and physical therapists. We are national experts who teach accessibility professionals on the topic of remodeling and accessibility options. Our unique, integrated approach and consultations with our clients ensures attention to detail for your safety and independence.